You love the house sooo much. The problem is, lots of other people probably do, too. How can you stand out in a competitive environment? 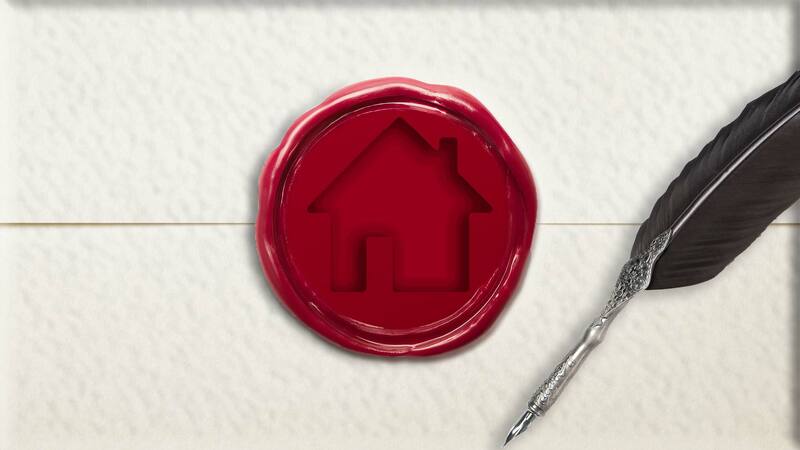 Try writing an offer letter that knocks the seller’s socks off. “Making the highest offer is typically the best way to win a bid, but when a seller is faced with two very similar offers, a letter can oftentimes tip the scales toward yours,” says Realtor® Mindy Jensen of Longmont, CO. So how do you use writing to woo a seller to your side? Check out these snippets from winning offer letters, then learn how you can follow in the footsteps of these real-life buyers. The words that wooed: After seeing a number of properties that have not “spoken” to us in a significant way, we were delighted to discover your home, with its mixture of charm and warmth. We envision family gatherings within its open living area and drinking coffee while watching our children play in the pool. As basketball is in the family blood (Steve is a former employee of the National Basketball Association), I’m sure there will be plenty of pick-up games for everyone. How to do it yourself: Find out some backstory about the owners or other bidders if you can. The tidbit about the builder, for example, was crucial knowledge. But for any property, most sellers who have taken good care of their homes want to make sure they will be loved by the next owner, too, so let your enthusiasm shine to gain the edge over pricier offers. The words that wooed: We are not looking for a bargain, just a fair price for something nice. This would be a cash sale, and we could close quickly or at a convenient time for you. How to do it yourself: Get your ducks in a row before you make an offer. Even if you’re not doing an all-cash offer, have a pre-approval in hand. Especially in a seller’s market, make it clear that you are going to be easy to work with and that the seller can call the shots. The words that wooed: From the moment I walked in, I knew this place felt like home. (Well if I am being honest, I fell in love with the wallpaper in the bathroom first!! ha-ha.) I also really appreciate the attention to detail in the upgrades you made: the stain on the floors, the wall colors and the charming lights, and I absolutely love your furniture selection. How to do it yourself: Find details that you love about the home and mention them so it’s clear you’re not sending a generic letter to every potential property seller. The seller chose those design elements, so find something you love that you can mention sincerely. Even if you are planning to change everything about a place you consider a fixer-upper, compliment the fact that the seller took great care of the home. The words that wooed: Semper fi. Why it worked: “The rest of the letter was great, but in all honesty, that phrase at the end of his letter sealed the deal. He and the seller were both Marines,” says Mindy Jensen, a Realtor in Longmont, CO.
Thomas Randall is part of Dave Perry-Miller's Highland Park team of Realtors. A member of Luxury Portfolio International, he can market your property, or help purchase a home anywhere in world. Luxury Portfolio International has more $1,000,000+ listings than any of our competitors, including Sotheby's and Christie's. Thomas Randall is a native to Dallas and knows the neighborhoods better than most. He can pinpoint the value of a home based on the particular street. His areas of expertise include investing, relocating, and finding the perfect dream home. Thomas is a serial entrepreneur who has started multiple companies in different industries, but has since landed in real estate. A real estate investor himself, he draws knowledge from past experiences. His goal is to make sure you feel like you got the best deal possible and were valued as a client. Email Thomas Randall. Did this billionaire just spend $150 million on two Dallas homes? A $100 million home in Dallas: Is real estate at its peak? Dallas real estate continues to push the limits on home sales. As the country's home prices continue to rise, Dallas follows right along. In a recent seven-day span, 2,506 listings came onto the market in the Metroplex and 2,305 listings were sold. This may sound normal, but it is not. It is incredibly uncommon that there are almost as many homes being sold as there are being listed. It is a sign that there is an overwhelming demand and little supply. Zillow forecasts a 6.2% rise in home prices in Dallas from March 2016 through March 2017. In Dallas we are seeing any home up to about the $2 million range being sold immediately. Homes that are priced well are snatched up before an open house can be held. The last three homes where I have represented the seller sold in less than seven days and went under contract well above asking price. In central Dallas, where newly built communities are rare and land is scarce, a property that is on the market over 30 days is seen as stale. The buzz among Realtors is that a shift is coming in 2016. It is only recently that we are starting to hear about more relaxed mortgage rules. The prices that are being slapped onto some homes are unsubstantiated. Recently a 2-bedroom, 1,400-square-foot home in the M-Streets — an ever-popular neighborhood because of its central location, excellent elementary schools and limited area — was listed at $525,000. Less than one year ago you could have gotten a comparable home with well over 1,400 square feet and an extra bedroom in the same condition for under $500,000. This same home would have been listed in the $200,000 range during the Great Recession less than a decade ago. What about the ultra luxury market? Using Lakeside Drive in Highland Park as an example, where there is a total of about 30 homes, there are three active homes for sale and one that is pending. Here we have four homes on the market that are over $7.5 million. They have been struggling to sell these properties since there are multiple options, each with their own historical tale. Listed between $700 and $1,300 a square foot, these homes move up in price depending on the level of grandiose detail. 4908 Lakeside Drive, Dallas was built in 1918 and is listed with Lance Hancock at Dave Perry-Miller Real Estate for $9,199,000. Much like the recent $100 million dollar home sale in Dallas, these sellers are noticing their once $3 million to $5 million dollar house, is now worth $7 million to $10 million. The summer approaches and while many people are forced into this rabid market because of a new job or an approaching school year, the market continues to push prices higher and higher. The presidential election is the only thing holding sellers and buyers on the sideline. Without a doubt, it is a seller's market and the buyers must beat out one another to gain some type of solid footing in this city. Texas has 1,200 people moving here every day. Half of those people are coming to the Dallas-Fort Worth Metroplex. Dallas development has always progressed north. 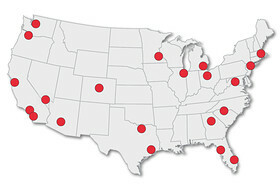 The suburbs, new-home developments, and population has been going north for over 20 years. But there has been an immense change in the last 5 years. With no more room to expand north (unless you wanted to go into Oklahoma), Dallas expands internally. Downtown, Uptown, State Thomas, Harwood, Oak Lawn, M Streets, Bishop Arts, Oak Cliff, Lakewood and anywhere within a 2-5 mile radius of Downtown starts to build upwards. Thousands of high rises and apartments are on the drawing board. 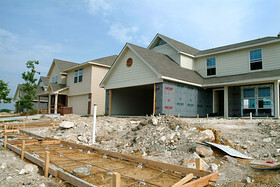 There are 25,000 single-family homes being built in Dallas county and there are 35,000 apartments being built. Apartment builders are buying up every piece of available land and no one can compete. The interesting part is that these apartments and condominiums are owned by trusts and investors who have no intent to convert or sell off. They are seeing that Dallas is quickly becoming a mecca for business and the population is relativity low for the amount of job creation and equity being built.